Each Sunday, our minister publishes a Centering Thought of the Day in the bulletin. I try to focus on the thought for the week. 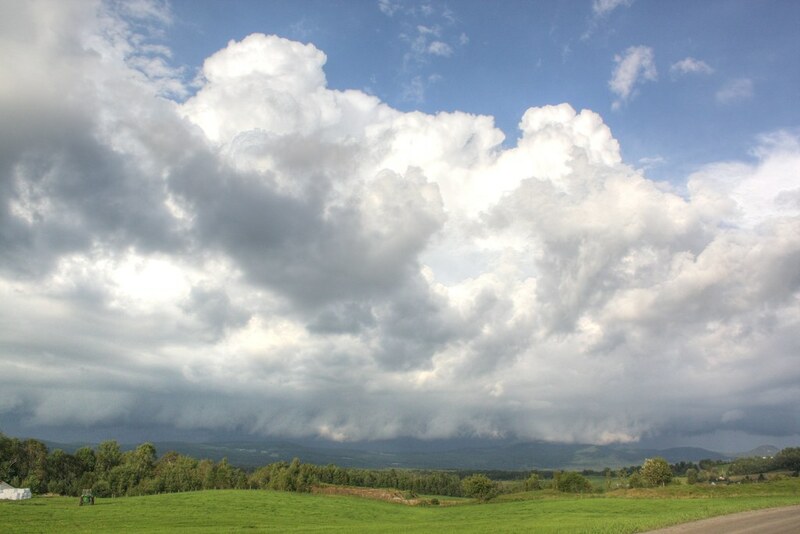 The photograph is of a hay field behind Barton Mountain in Vermont. It is illustrative of the places where I find meditation easiest. The line is from The Summer Day by Mary Oliver. Poetry 180 writes that this poem "holds that the act of attention is a form of prayer." Paying attention to the needs and hopes of others is vital in our lives. Paying attention to nature brings us closer to God. I hope you find the poem valuable. May you have a peaceful and attentive week. I finally noticed your comment on my post from last month and came to your response. The poem is so moving. I love Mary Oliver and you are definitely right. She manages to express how I feel about life and nature. People like you and Mary help keep me centered.